Every business which is bringing in profits and serving customers is important and precious. This is why, sometimes, we seek the advice of consultants who can guide us about the best practices that we can adopt in order to ensure the smooth running of our businesses and maximize profits. Who are consultants and what do they do? It is believed that consultants have a wide knowledge base about a particular area or subject matter. Consultants, other than those in the medical field, may be categorized according to two broad categories. Operating within and according to the culture of the corporation in order to resolve the issues that the business is facing and implementing resolution policies in the areas that pertain to the organizations effectiveness/ development, strategic planning or process improvement. Serve as an agent of change and act as a teacher or facilitator within the organization. An external consultant is someone who is an off-shore consultant. These individuals are hired from outside the company and may belong to another agency. External consultants provide their expert advice on a temporary basis for a pre-decided fee. 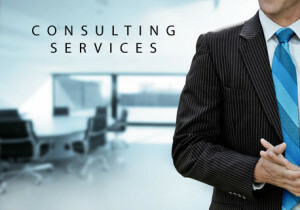 The biggest advantage of this type of consultancy is that the consultant is able to deal with multiple clients and extend services to organizations with a multitude of business activities. External consultants are not official and permanent members of the organization. The role of the consultant is usually decided by the project manager or contractor in a formal letter of agreement. The payment is made on the basis of the project covered by the consultant. If the desired results and deliverables from the consultant are received, the payment process may be accelerated or enhanced as well. An external consultant is not on the permanent pay role of the organization or client. The purpose of hiring consultants, internal and external, is to understand the business better and also gain access to better expertise and a deeper level of understanding of the industry and category that the organization’s business belongs to. However, be it external or internal, there are some attributes that are common to all global business consultants. The services of a business consultant are generally asked for when a company is facing issues and needs guidance and expert advice as to how they can enhance their business and increase efficiency and performance. This is especially relevant for business owners who are unsure as to where the business should be moving and how they can bring about a dynamic change in the business which will revamp the operations and processes. Encourage change and improvement in the organization. Business consultants can also be called management analysts. They particularly have expertise in areas such as marketing, human resources, management, accounting and finance. Consultants typically aid in the improvement of organizations and their operations by evaluating their strengths, weaknesses, opportunities and threats inside and outside the organization. Moreover, they also use this SWOT analysis to propose and recommend different, practical solutions. It is recommended for consultants to hold a minimum of a bachelor’s degree in order to qualify as consultants. Careers with a business management degree can also include consultation services. Other than this, business related fields such as marketing and accounting can also be looked into when entering into this career field. Courses that may be included, especially in a business management degree can range from principals of accounting to financial modeling, business law, marketing and communications. Advanced educational degrees such as a master’s degree or a master’s in business administration can be undertaken with a specialization in consulting. This way, the prospects of landing a position in the consulting business may increase. A bachelor’s or a master’s degree alone is not the only qualification that will guarantee a lucrative and progressive career in this field. Employees will often favor candidates who have acquired professional certification in the field of consultation. The I.M.C institute in the United States of America offers the certified management consultant certification to aspiring consultants. This may be deemed equivalent to a business consultant degree in which the candidates have to pass a series of examinations pertaining to oral and written skills. This certification stretches over a span of three years and includes several courses that are relevant the field. While these are the most common types of consultation, it may be difficult to break into an organization when a professional is fresh out of university or college. For this reason, it is recommended that one starts from the grass root level which not only poses a challenge but is still relatively easier to land into. An early bird career in consultation services means, looking for consultation jobs in small companies and business models. Later on in one’s career, it will then be possible to expand the horizon and perhaps help an organization with their global business consultation. A small business consultation is an individual who works with their clients on their company’s strategy, problem solving and planning. These individuals may help clients in developing the business skills and knowledge needed to run their business in an effective manner. Consultants who work with small businesses may be involved in designing business models or marketing plans for the management. Moreover, they may also help in determining the best techniques that can be used to market a product in an effective manner. Often, small business consultants are involved in giving advice, teaching and brainstorming with clients in order to enhance their businesses and help them become bigger and better. There are some consultants who also specialize in small business consultation. These include small business IT consultants and small business marketing consultants. With the specialization in this branch of consultation, professional consultants are not only focusing on a single aspect of this discipline, but may also make a niche for themselves in the market. This entry was posted in Jobs in Finance and tagged #business, global business consulting, international business careers, small business it consulting, small business marketing consultant.